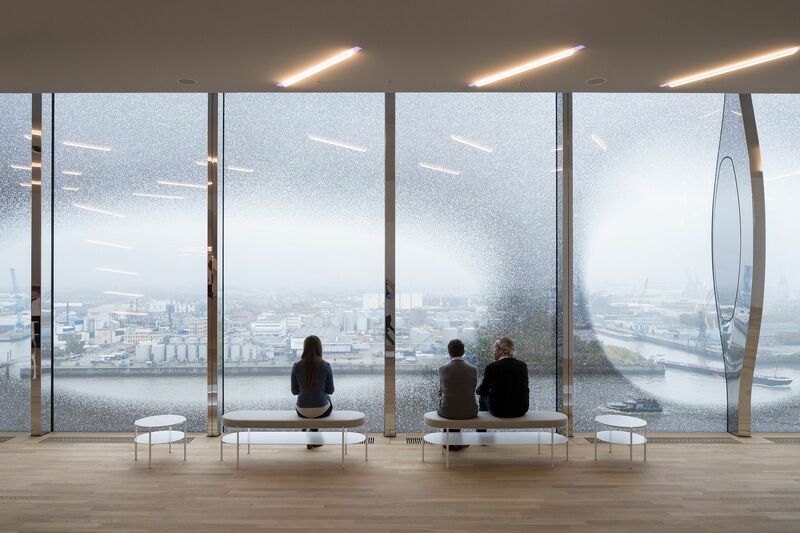 The new Elbphilharmonie has opened in Hamburg, an iconic building designed by Herzog & De Meuron. After a long, turbulent construction period, this Hanseatic city now has a new temple of music and a community plaza that stands 37 metres above ground. “Was lange währt, wird endlich gut” is a German proverb, coined by the poet Schiller and meaning that sometimes things are well worth the wait: the Hamburg City Council approved the project by Swiss firm Herzog & de Meuron with Argon Mergenthaler way back in 2004; work then began in 2007, and was littered with a range of problems and spiralling costs, all related to the specifics of the architecture. Issues that meant it took almost 10 years to complete. But now, after the preview of the Elbphilharmonie met with the favour of the media, and received positive reviews - particularly for the interiors with perfect acoustics due to a special gypsum skin - this landmark building that stands on the remains of the famous Kaiserspeicher, the imperial warehouse on the Elbe river at the entrance to the Speicherstadt district in Hamburg opened its doors to the public on 11 and 12 January. Years leading up to this day, for a visually exciting whose monumental proportions and undulating wave-shaped rooftop reach out to grab you. But don't let the appearance of the steel and glass building that stands on the solid bare brick base of the old building fool you: the Elbphilharmonie by archistars Herzog & de Meuron is not just a spectacular container, an important addition to the skyline of this Hanseatic city, it is a place designed for the community offering three concert halls, a foyer accessible to the general public, a hotel and 45 apartments, as well as a new urban Plaza, which has been open to the public since November 2016. With an area of 4,000 square metres - almost as big as the Rathausplatz (Town Hall Square) this plaza stands 37 metres above the level of the Elbe, linking the warehouse with the new steel and glass structure of the actual Elbphilharmonie and acts as an excellent viewing platform for the city. The Plaza is a meeting place, and this whole gateway to music encourages the general public to approach music, rather similar to Oslo's Opera House by Snøhetta, with its roof used as an urban space. 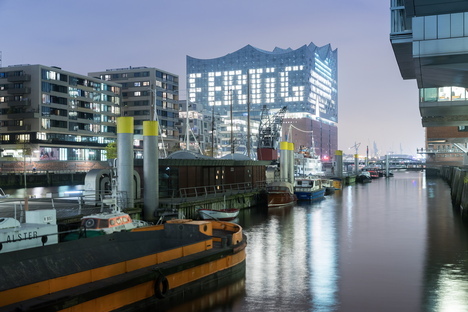 In any case, if you're still a bit reluctant to enjoy the broad musical spectrum offered at the Elbphilharmonie including opera, classical concerts alongside electronic and pop music and much more, you can still take in the beauty of a complete work of art generated by the skilled fusion between new and old architecture, the music and a really enviable position.